Imagine sitting and listening to a cascading stream and waterfall. Your watching numerous birds including cardinals and hummingbirds. The water is so clear you can see the fish and frogs gliding thru the water. The best part of this vision is your not 3 hours from home at a cabin, you’re in your own backyard. This water paradise can be enjoyed everyday. At Premier Water Features we can bring the wonders of fish outdoors while at the same time help increase your property value. Fish are our profession and we will apply our expert skills and knowledge of aquatic filtration and incorporate them to your outdoor paradise. Water gardens are by far the most popular trend in landscaping and for good reason. 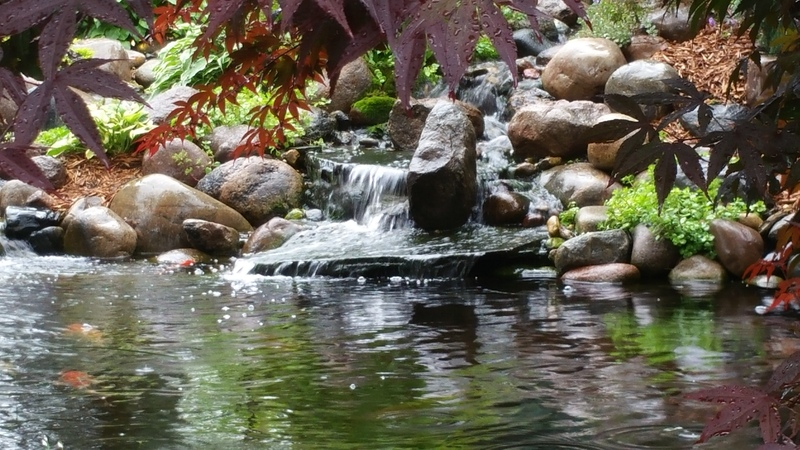 Water gardens add beauty and tranquility to any setting. We are able to work closely with you from the design, to the installation, to the fish selection. 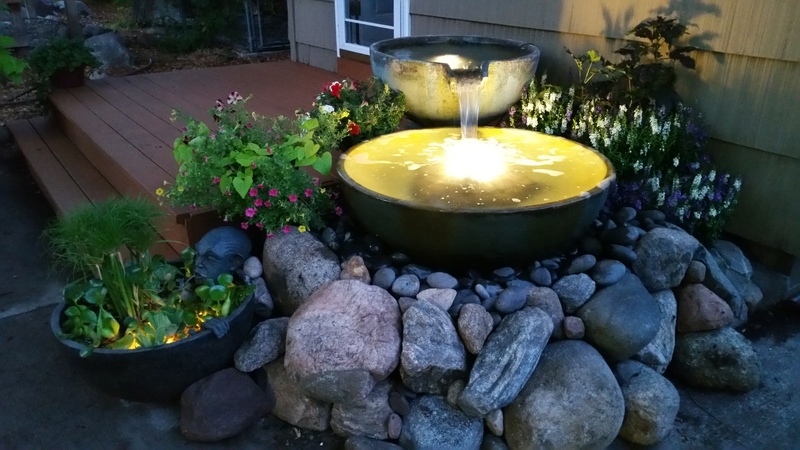 We will blend your ideas with our experience to design a water garden you will enjoy from the start. 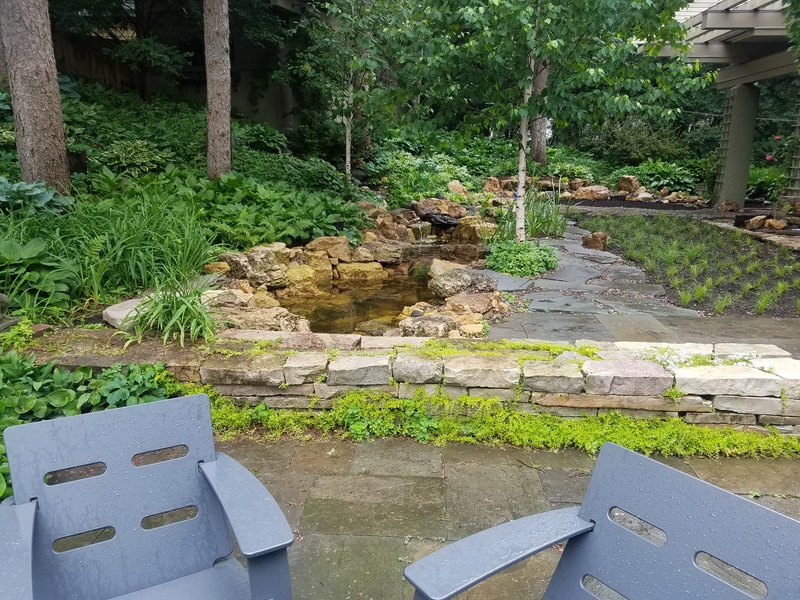 After designing the water garden our installation crew will professionally install your project with an emphasis on the life-support and the artistic flair needed to make this water garden stand out. It’s now ready for you to start enjoying. The systems we design and install are designed to enhance and beautify your space. You will never see or hear loud pumps or other filter equipment standing our from one of our systems. Our systems are designed environmentally friendly, simple and safe. We have also developed techniques to help allow fish to be easily wintered in the water garden even in the harshest climates. Modern water gardens when properly installed require minimal effort especially when compared to the upkeep of yard turf. If you do find yourself with a question we are able and happy to help. We are happy to provide any upkeep services you may require on your water garden including fall and spring clean ups. We also can provide our clients with outdoor goldfish, koi, and water garden plants. The koi we offer range from domestic stock all the way to high end Japanese imported koi.